Nine Lives: Cheating death, surviving anguish and living with new purpose. Not every bullet kills. But upon entering the body at a velocity close to the speed of sound, bullets can really mess you up. The nine Utahns we talked to learned this firsthand. Several truly cheated death; others still suffer pain or have lost use of vital body parts. Most struggle with anguish but seem to have come away with a renewed sense of purpose. 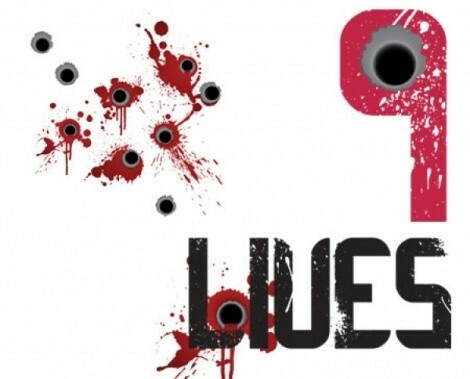 If you have survived being shot, comment below to leave your own accounts, see video interviews with victims, and find organizations dedicated to helping shooting victims. LeRoy Heaton, 84, doesn’t like people sitting on his left side; he gets anxious when he can’t see them. He shares that with his deceased father—both lost their left eyes at a young age. 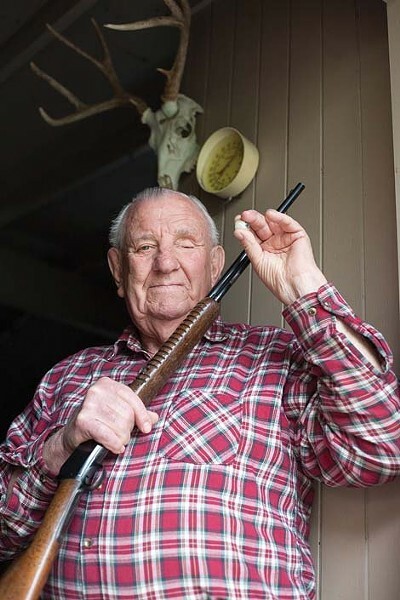 On December 24, 1939, at 14 years old, he found an old .22 rifle in the attic of his family home in Kanab. Heaton was enamored with it, so he cleaned and oiled the firearm, but his older brother, knowing the danger of old guns, tested it by firing three rounds behind a tree for protection before letting Heaton use it. Taking the gun inside to fetch more bullets, Heaton loaded it in the kitchen; as he closed the gun, the bullet exploded before it was locked. As Roberts led her toward his car, she dumped the contents of her purse on her lawn, then dropped the purse, hoping someone would find it. Roberts put Prue in the passenger seat, closed the door, turned, and shot her in the neck through the car window. Prue’s plan to go with him until she could break away when he became distracted while driving instantly changed. “When he shot me, he was obviously not going to give me a chance to get away.” Holding her bleeding neck, she opened the car door and took one step out before Roberts shot her again, in the lower back. He drove off, leaving Prue lying in the street, yelling for help. Minutes later, a neighbor found her and called 911. She was airlifted to University Hospital for surgeries and rehabilitation that included getting used to a wheelchair. Prue was left a paraplegic. Today, she has sensation only down to the top of her legs. Update: Where are all the shooters now? 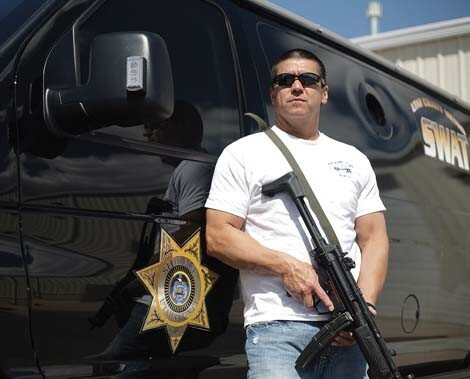 Officer Dave Acosta was a fairly new SWAT officer when he left Provo to take a job with the Las Vegas Police Department. On an eventful day in 1994, he squared off twice with a suicidal, meth-induced suspect: once while the suspect was walking around with a shotgun in North Las Vegas, and again later that night outside the hospital where they had both been admitted. That afternoon, Acosta was part of an immediateaction team to respond to the suspect after planned bean-bag rounds knocked him out. The suspect stood up suddenly, so two officers fired; he was hit in the belt and jacket, undeterred and completely mobile with the shotgun. “The sergeant asked me to run and apprehend him after he was shot,” says Acosta, who did and was within 10 feet of the suspect when Acosta was shot by lead pellets from a misfired and spliced bean bag. Acosta thought the suspect had shot him and was prepared to use deadly force when the suspect was knocked unconscious by several more rounds. After the diffusion, Acosta tried to seek medical help. “No one believed me; the paramedics said it was a splinter in my eye. I couldn’t convince anyone. I had three [pellets] in my helmet, some in the Kevlar vest and one through my eye,” Acosta says. The pellet pierced his left eyeball, left of the retina, but because of the angle, had just punctured and deflated his eye, causing swelling. Doctors told Acosta it was a one in a million chance of not losing his eye or being potentially fatal. As Acosta sat in the hospital, retelling the story to his best friend at 2 a.m., he saw the suspect walk past his room and down the hall. “He was still on meth and was swiping at people with a scalpel he’d stolen. Then [the suspect] ran outside.” So, Acosta ran after him, barely clothed and eye pulsating, and caught up to him outside and squared off, 20 feet away. The suspect began approaching Acosta, who pulled the hammer of his gun, which stopped the suspect. As backup rushed forward, the suspect got on the ground and threw his scalpel to the side.